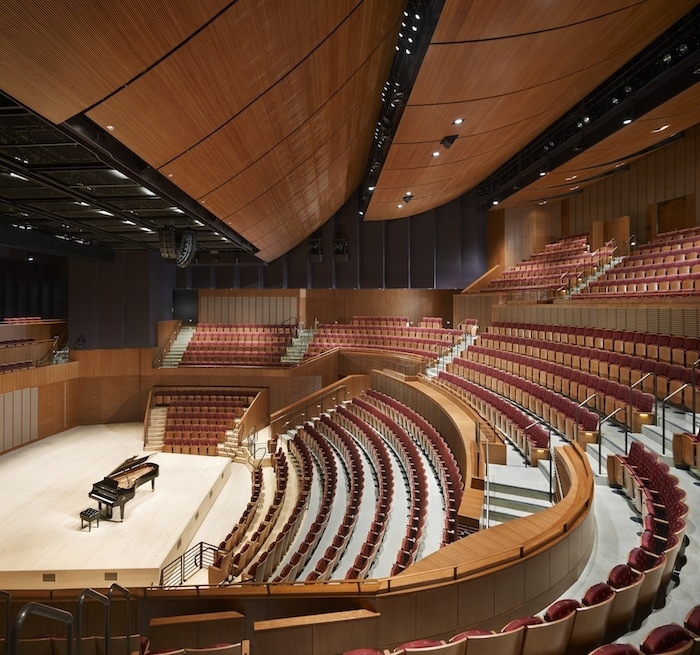 Auerbach Glasow provided architectural lighting design for the 1,200-seat multipurpose hall, black box theatre and dance studios of the Soka Performing Arts Center. 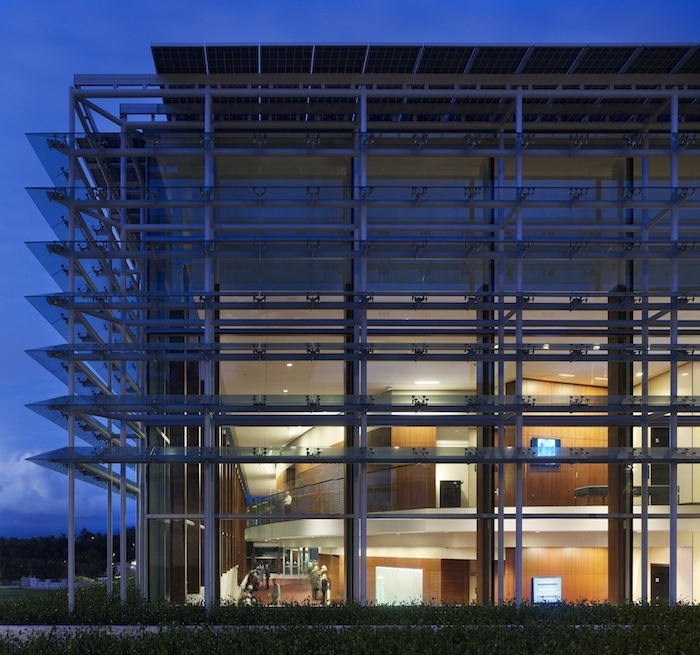 The challenge was to design energy-efficient lighting that was inviting to people on the outside of the building while featuring the dynamic, elegant architecture of the two-story lobby space. An integrated lighting scheme accentuates the lobby when viewed from both the interior and exterior of the Center. The complex lighting design presents the lobby as a beacon in the landscape from the outside while interior concealed light fixtures make the wood wall appear to be the lightsource for the lobby. Energy efficiency is further enhanced by using occupancy sensors which dim the lobby when not in use and photo-sensors which reduce electric light when daylight is sufficient to light the space. Pre-programmed settings throughout the day allow for light changes based on the activity in the lobby and the time of day.